The history of fragrance is full of efforts to create sexual attraction and promote sensuality. In this collection, we have gathered some of the sexiest scents in the world, including fragrance notes from Pumpkin Spice to Vanilla to Amber and more, - at a very special price. 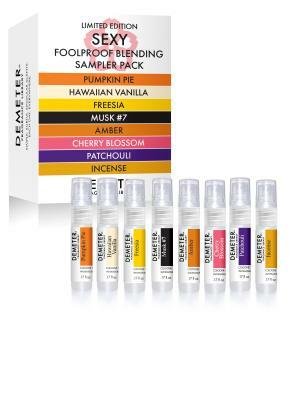 Wear them alone or blend them in any combination or proportion to create a unique and individual scent. Enjoy, and use with caution!